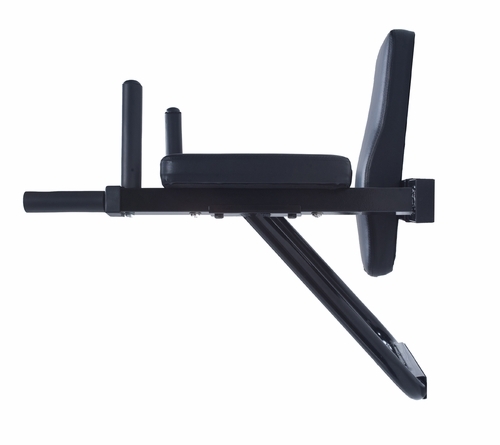 Take your workouts space to the next level with the Wall Mounted Dip and Vertical Knee Raise Station by Ultimate Body Press. 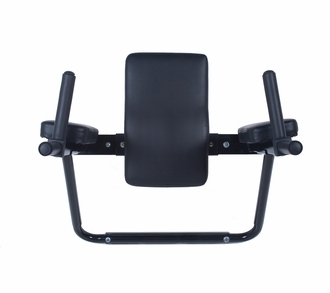 The Wall Mounted Dip Station can be mounted quickly and easily to the studs in any wood frame wall, giving you a gym-quality workout station anywhere in your home. 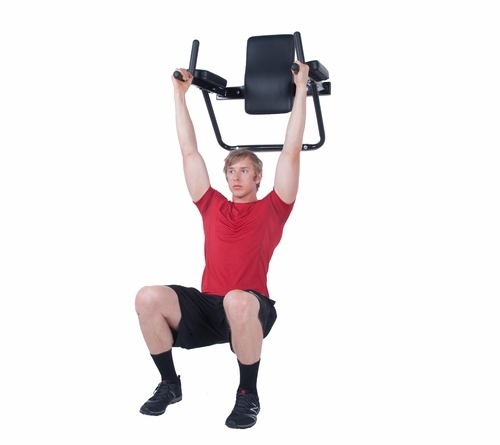 The Dip and Vertical Knee Raise Station rapidly sculpts the chest, back, abs, and arms with high-intensity, body-weight exercises like dips, assisted pull-ups, and rows. The comfortable, contoured back pad and arm rests provide stable contact and makes it easy to focus on the muscles you are targeting and increase reps with every workout. 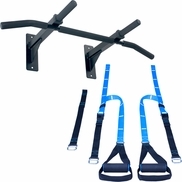 As an ideal anchor for suspension trainers, the Wall Mount Dip and Vertical Knee Raise Station makes it easy to add in Ultimate Body Press Suspension Trainers for fast results across your pecs, triceps, biceps, core and much more. 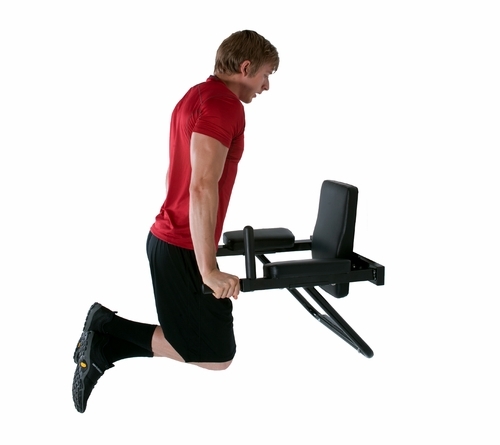 Preserve your floor space and get incredible workouts, order your Wall Mounted Dip and Vertical Knee Raise Station today. Wall Mounted Dip Station with Vertical Knee Raise Station4Andre CorneauAugust 18, 2012Very easy to install and use. Excellent for smaller areas or inplaces where you do not want a large bulky machine. Could have adjsustible hand grips and pads for smaller people like my wife. Great product would definately reccommend it! Question: What are the dimensions? How far out from the wall does it extend? Answer: The dip bar grips extend out 24 inches from the wall. 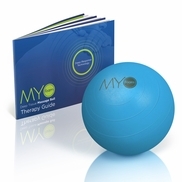 Question: Does this peice of equipment come with suggested exercises and outlines of different uses? Answer: Not at this time. 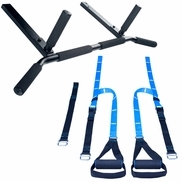 The three main exercises this is used for are Dips, Knee Raises and Assisted Pull Ups. Question: With the correct fasteners could I install this into a cinder block wall in my basement? 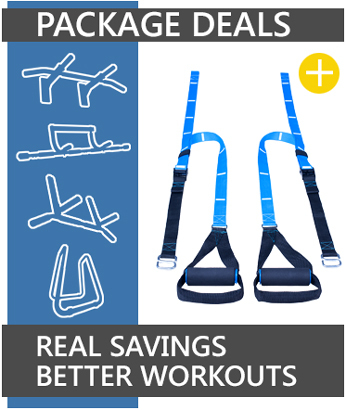 Answer: Yes, We would recommend anchors rated for at least 300lbs each. Question: What are the dimensions between the VKR bars? Answer: The grips are 22 inches wide and extend 24 inches from the wall. Question: Can I install this equipment into drywall? Answer: The Wall Mounted VKR must be attached to studs. Question: Is it possible to mount this dip station to a garage wall with studs 24 inches apart? 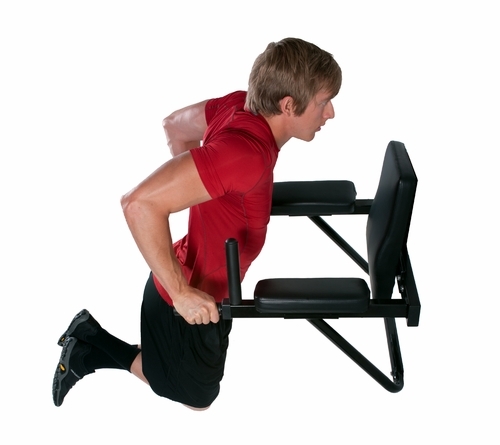 Answer: You would first need to mount the dip station to 2x4s. Question: when will this be available?